Place the onion, garlic, cauliflower and beetroot into an oven pan and dry roast them until the beetroot is cooked and the cauliflower has started to brown. Place the water and vegetable stock into a large pot. Add the roasted vegetables to the pot and bring it all to the boil. Blend until all the ingredients are smooth and serve with a swirl of dairy free sour cream. Time: 15-20 minutes of preparation, blending etc. Approximately 45 minutes of cooking time. Cooking time will differ depending on the strength of your oven. 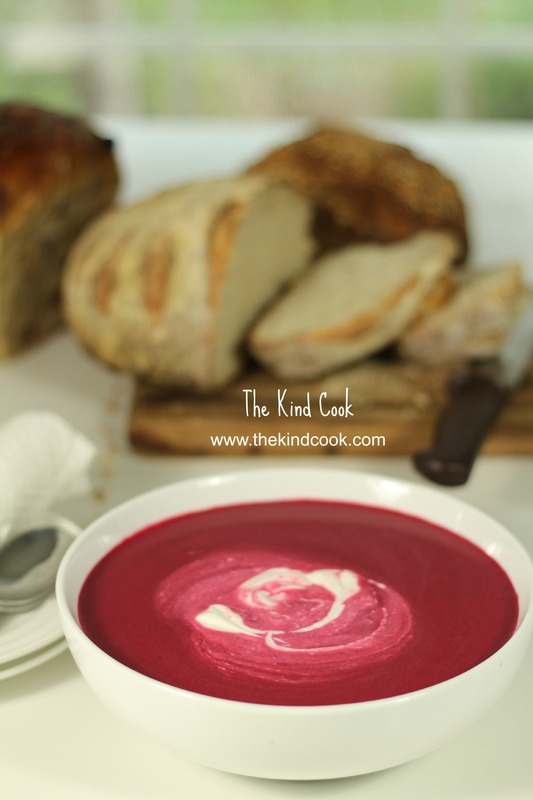 Notes: When the beetroot is almost cooked bring the water and vegetable stock to the boil on your stove top to save time.